Do you have it on memory stick or external hard disk? Do you backup once a month? Or even better once a week? Have you ever missed a day backing up? What happens if the office burns down or your memory stick gets damaged? Having all of your data backed up off-site, away from your main business premises is an option more and more firms are turning to these days. It means that in a worst case scenario – such as a damaged hard disk, or even a fire – none of your files will be destroyed, meaning you will not lose important information regarding your business, projects or clients. All of this data can be stored at space provided in data-centres through websites such as Backblaze, where your files can be easily and securely accessed from wherever you may be situated. This, in turn, opens up options for employees to work from home where possible, and makes it easier to coordinate efforts on projects when staff may be scattered across several different locations. At a time when more and more people are looking to reduce outgoings and expenses, remote storage is an extremely cost-effective measure that can be implemented. 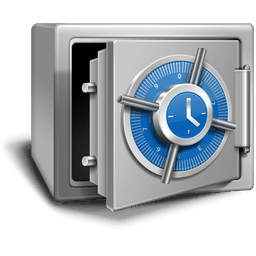 Data-centres charge only a nominal fee (approximately €50 p/a) to supply a safe storage account and back-up system. You must have multiple copies of everything!